Activision has provided me with the latest console game review and this one gets my inner geek going, being a big comic book fan and that this is a title based on my favorite comic book character. Deadpool is the title at hand and my copy is for play on the Playstation 3. Being that it is a comic book title I was rather skeptical that it would be a letdown as a lot of comic book titles are disappointing. Luckily, High Moon was up to the task and for those unfamiliar with their works, they are the artists behind the entertaining Transformer games for the current gen consoles. Deadpool is a third person action game packed with weapons and cameos. Admittedly I was apprehensive about this release as a number of comic licensed titles start off with a bang once announced but fizzled by the time release comes around. 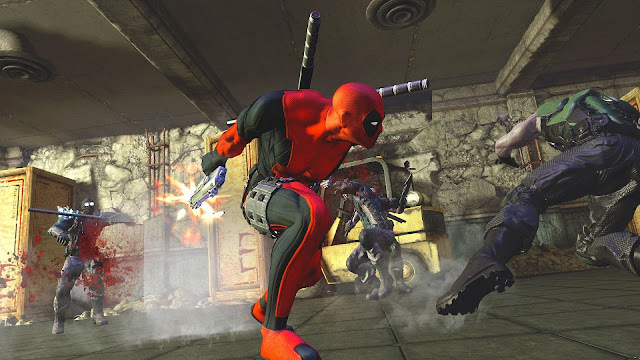 There are few exceptions to the rule, mine being X-Men Legends and the Batman Arkham Titles, and after playing through Deadpool, it was a fun, bloody, good time. It has a quick playthrough, shy of 10 hours but well written and provides enough character development to keep me from getting bored throughout the story. 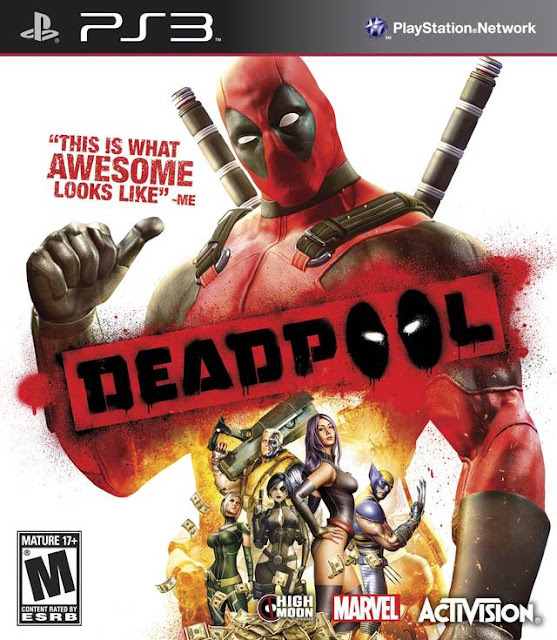 While most of the humor is of course crude bathroom humor, so thankfully it was Rated M, because a title based on the loudmouth merc rated any less than Mature would would not a game about Deadpool. It wasn’t all blood and sass, some jokes just drag on and I found myself thinking the writers were running on empty or simply could not put some of the witty banter passed the ESRB. While I was happy that there was finally a game based on this anti hero, however it is fairly short and linear, making it difficult to go back and play after completion. Replayability aside, Deadpool is a fun title from start to finish with a couple speed bumps. The cameos and Easter eggs partnered well with the potty mouth filled humor all while completely destroying extras and villains that I have grown up reading about. 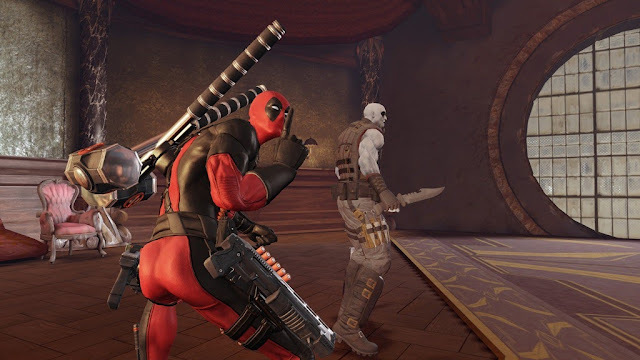 Deadpool was fun from start to finish, not that same type of fun as say Portal, Bioshock, or a more thought provoking game, but stupid fun where you can give your brain a break and enjoy the simple things.